Welcome at our Online Shop! 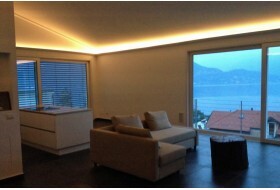 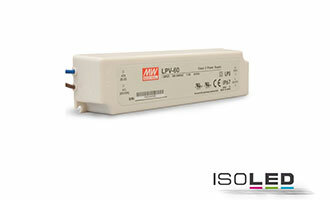 "Living in style with stucco, façade, and lighting profiles..."
True to our motto, you will find a selection of products for indoor use such as stucco and lighting coves for indirect LED lighting (wall and ceiling) here, as well as lighting profiles and stucco for the integration of spotlights and LED strips. 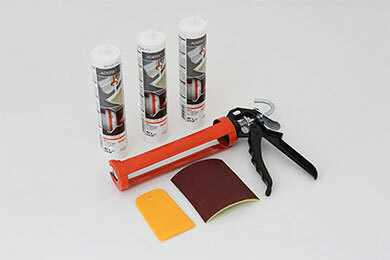 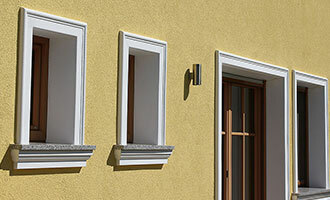 You will find high-quality elements of façade décor and façade profiles such as window surrounds, quoins, cornices, and column claddings for the visual design of your exterior façade. 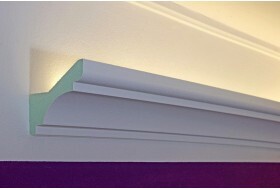 Lighting profile for installation of spotlights "BSKL-180A-PR"
You will find information on the subject of adornment profiles, stucco, and ceiling cornices here. 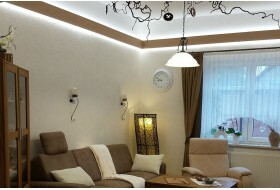 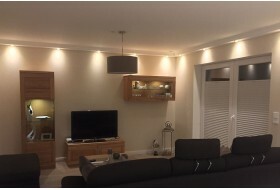 In addition, a great selection of stucco and lighting coves for indirect LED lighting, facilitating a cozy indirect illumination of your living space. 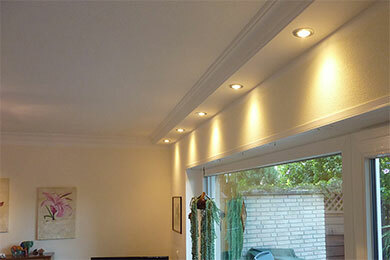 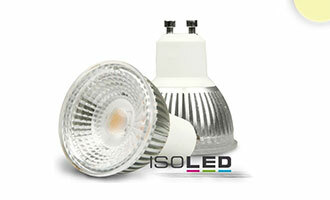 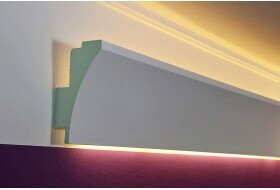 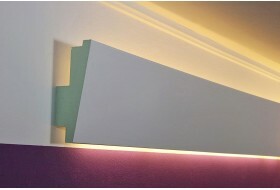 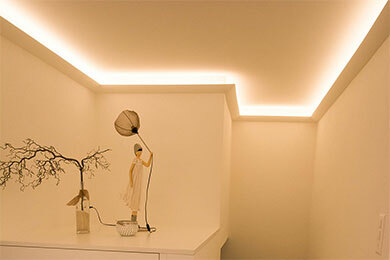 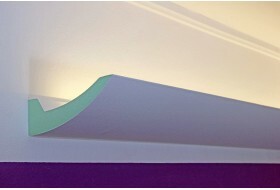 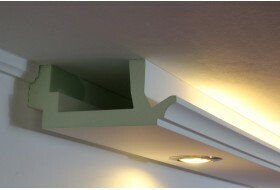 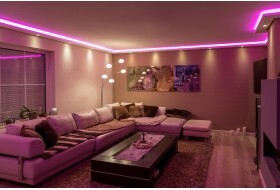 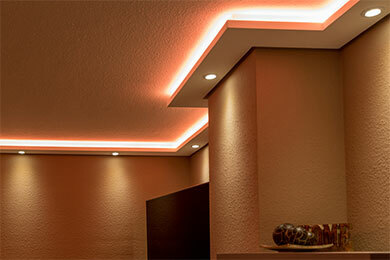 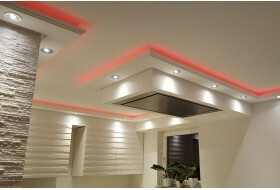 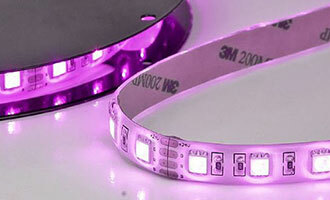 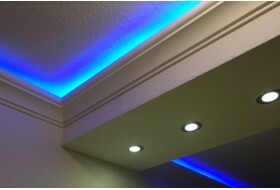 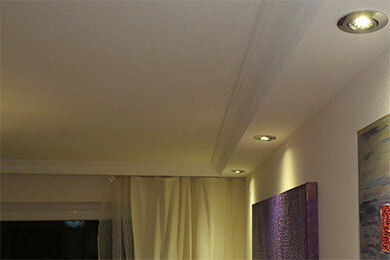 Lighting profiles and ceiling cornices for lighting installation (spotlights and LED strips) provide a unique style of modern ambient light. 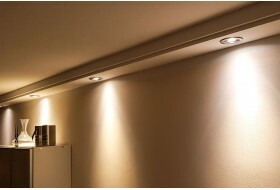 These allow for illuminating important details with spotlights / LED spotlights and getting an atmospheric LED lighting for the entire room with LED strips at the same time. 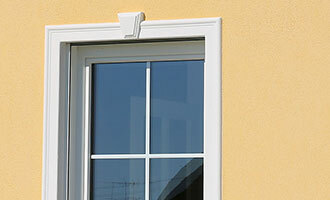 Find façade décor such as window surrounds / pilaster strips here. 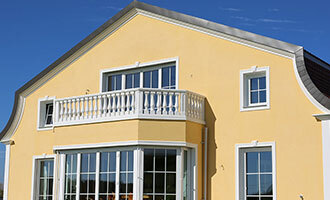 These, along with a cap stone (center stone) and windowsill profiles, turn your windows and doors into the eye-catchers of your exterior façade. 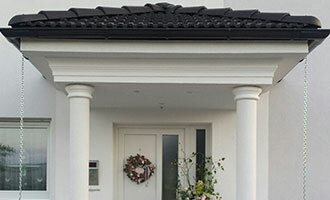 Eaves cornices and fascias further improve the overall impression of your façade design. 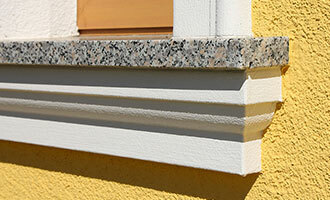 These façade elements can be combined with additional stylistic elements such as ornamental cladding tiles or quoins. 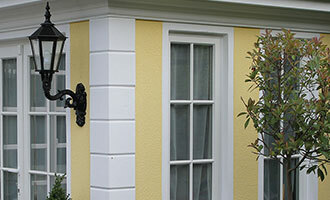 Existing columns and pillars made of concrete steel or wood are often lacking style. 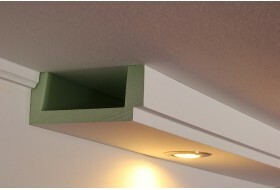 This is where our top and bottom column claddings are valuable options (capital or column head and base or column foot). 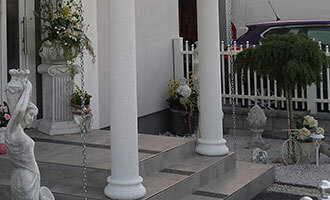 These adornments quickly and easily convert your columns into actual eye-catchers. 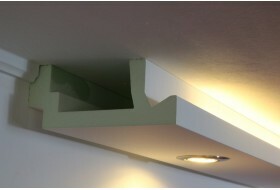 Entire columns, i.e. 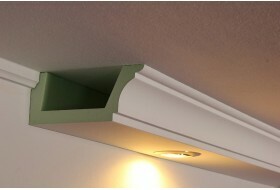 column claddings including the column shaft in nearly any diameter and height needed, are possible as well, of course. 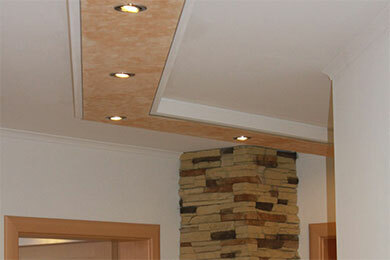 Specify the corresponding dimensions and your ideas, and we will work out your desired implementation. 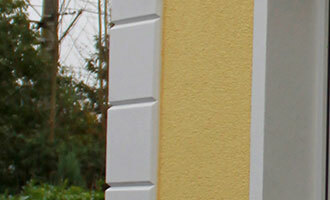 We deliver the items you ordered quickly and reliably via DHL or post (in Austria) to you. 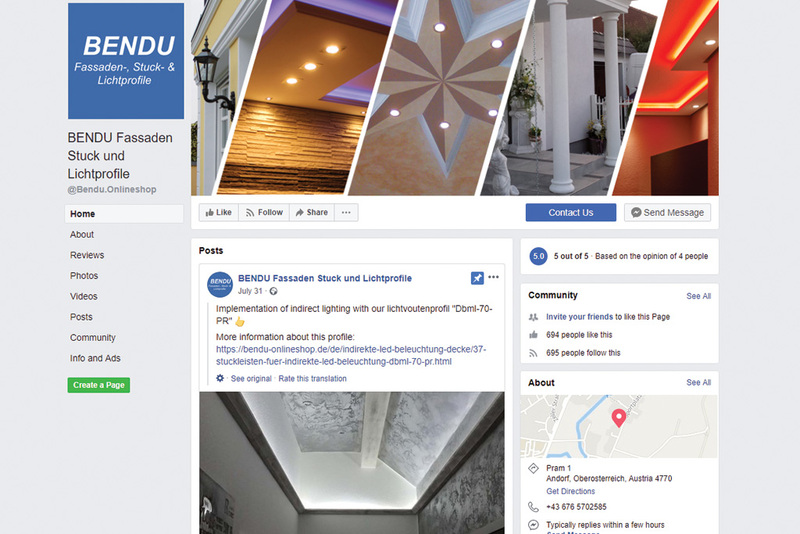 Do you have questions? 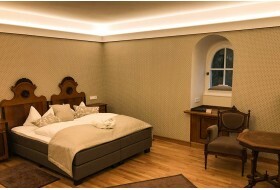 No problem, get in touch with us and we will inform and help you with all your concerns. 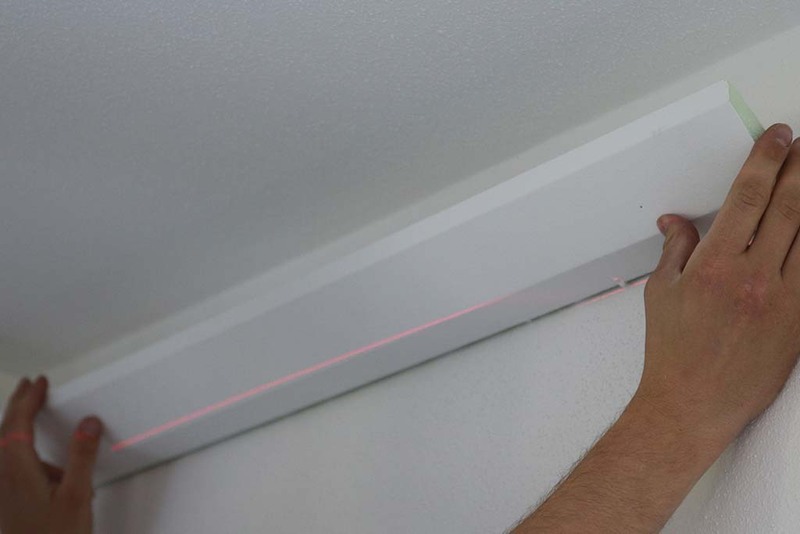 With the help of your customer account, you can keep an eye on all processes and orders. 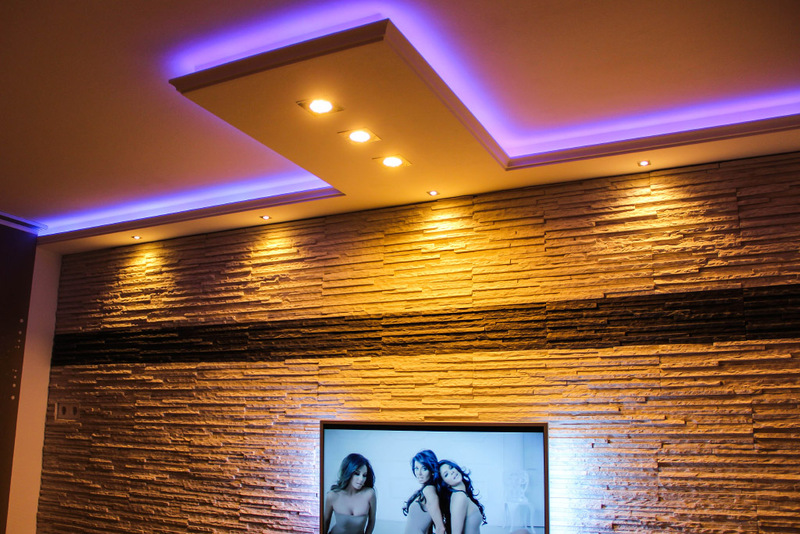 Payments are via PayPal, easy and secure!